« Undersea Spoils (32): More signed goodies! Hi again everyone! 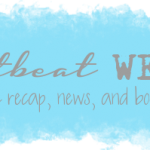 Today marks the start of week two for the Beat the Heat Readathon. We are now halfway through – how are you all doing? We’re still seeing lots of Twitter updates, which warms our hearts, especially since this readathon was conceived on Twitter one day! 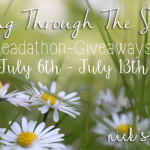 If you aren’t already, you should follow hashtag #BtHReadathon. 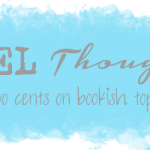 You may make some new bookish friends! Keep sharing your progress using hashtag #BtHReadathon. We do enjoy seeing your tweets! Now, are you all ready for the second mini-challenge? Welcome to The Match Game. Below are the names of ten females and ten males. Your job is to match them up into the perfect (correct) couple! 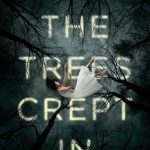 This is a shared giveaway between Phantasmic Reads and Auntie Spinelli Reads. Please be sure to read the directions very carefully, since the couples and books are different on each blog. 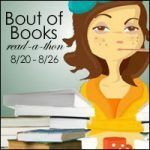 You must be signed up in the Readathon to participate. This requires some sort of sign-up/progress post! You must guess at least 4 couples correctly to win! The point of the mini challenge is to participate in the challenge and have fun doing it, not to win the giveaway. Because we are paying for these giveaways out of our own pockets, it is a requirement that you follow BOTH hosts. My couples are all from Young Adult books. HINT: All characters are from books that I’ve rated 4 stars or higher (reviewed on ASR). Check out Phantasmic Reads for the NA/adult matchup! Beat the Heat Mini-Challenge #2: The Match Game! Oh my God I love this idea! My fangirl is coming out just thinking about these couples! :)) Like how are YA romances so perfect and adorable?